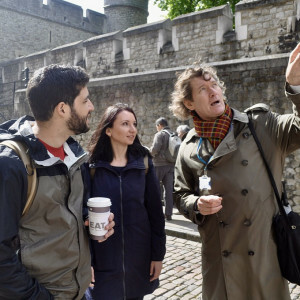 This three-hour Tower of London tour, led by a historian who has taught British history extensively, uses the Tower as backdrop for understanding and discussing British history and culture. 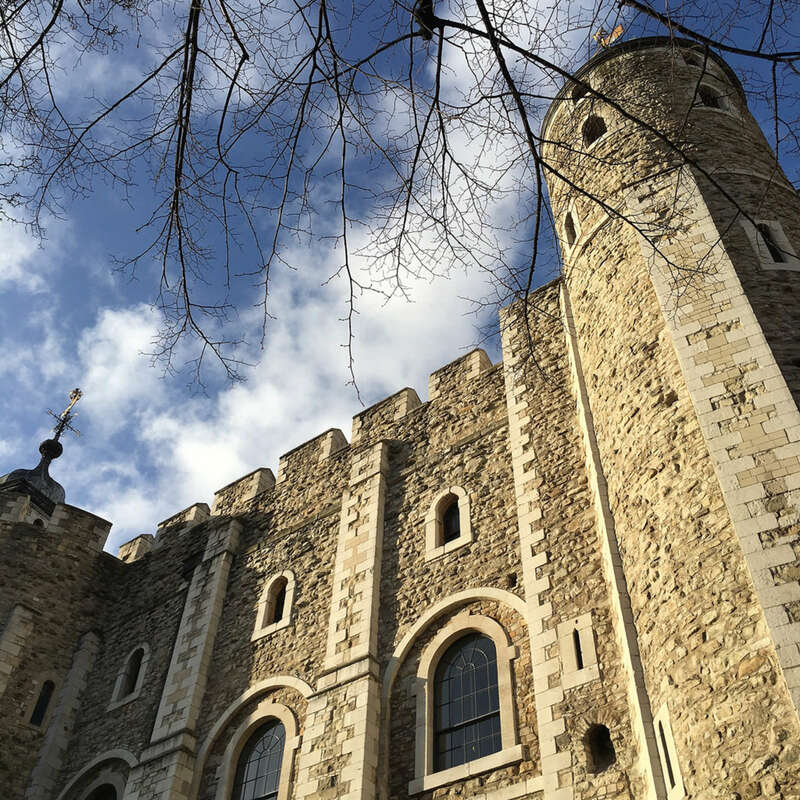 Together, we'll discuss the many roles the Tower has played in its nearly 1,000-year history, from strategic outpost of William the Conqueror to a prison and site of execution that witnessed the beheading of two of Henry VIII's wives. 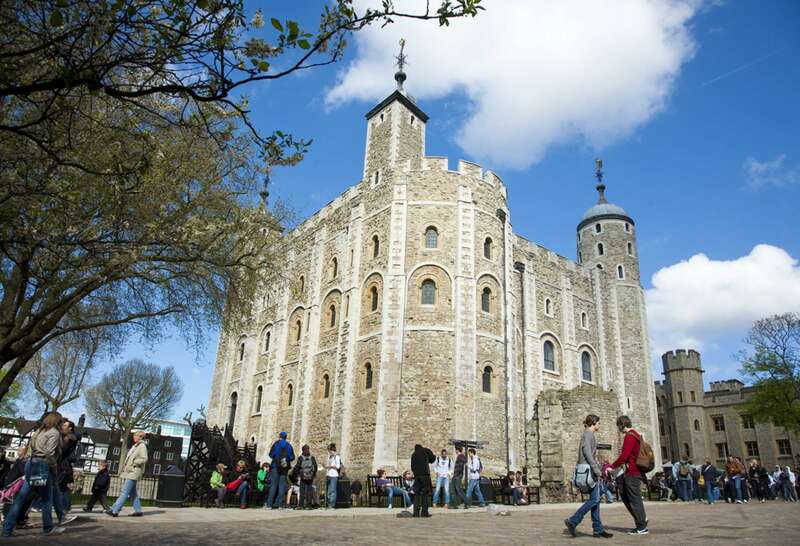 We’ll begin with a walk outside the tower and consider the oldest part of the structure, which was built by William the Conqueror in the 1070s. 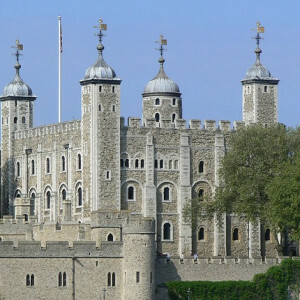 Upon entering, we’ll discuss the architectural developments of the Tower of London as a castle and a royal residence. At the execution site, we will remember those who were executed and imprisoned here and explore why private rather than public executions were chosen. We’ll also discuss famous prisoners like Guy Fawkes, who attempted to blow up Parliament in 1605, and look at examples of torture instruments from the past. 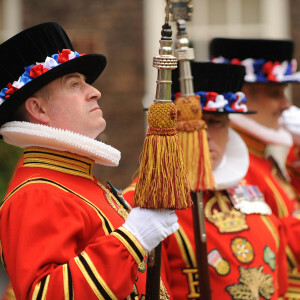 We’ll also see the Yeoman Warders, also known as the Beefeaters, who are the ceremonial guardians of the Tower; the legendary ravens that have been at the tower for over 300 years; and the Crown Jewels, used in the coronation ceremony of each new monarch, which symbolize the divine right of kings. We’ll explore all this in relation to the Victorians and the many narratives they constructed about the tower. 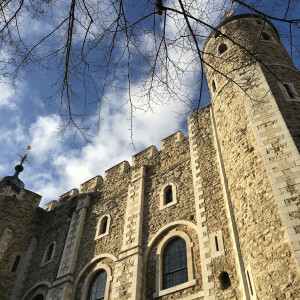 Then, depending on your preference, we may enter the White Tower, the oldest part of the Tower of London, and explore the state-of-the-art Norman fortress and royal palace. Alternatively, we can explore the many other towers, perhaps seeing the graffiti carved into the walls by prisoners in the Beauchamp Tower (also known as the Bloody Tower), where two young princes were said to have been murdered in 1483. 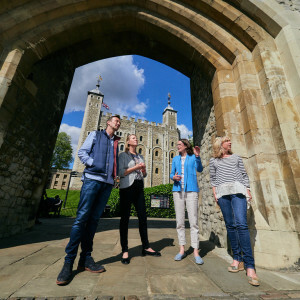 For help in planning your trip, please see our guide on how to tour the Tower of London. Looking for tours of more London landmarks? Looking for tours of more London landmarks? Try our Westminster Abbey Tour or St. Paul's Cathedral Tour. 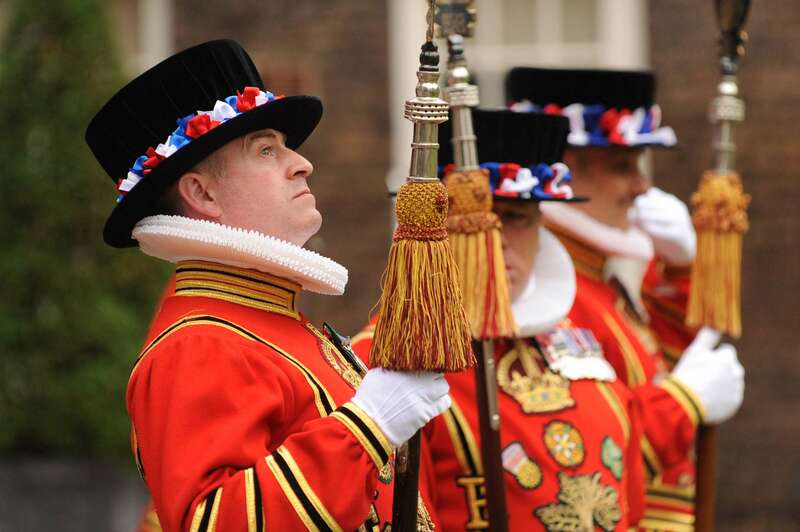 For a full range of options see our entire list of history tours in London. Where do we meet? Where does it end? The tour meets near the Tower, in an easy to find location away from the crowds. Your confirmation email will have the exact meeting point details along with a map, and 24/7 phone number. 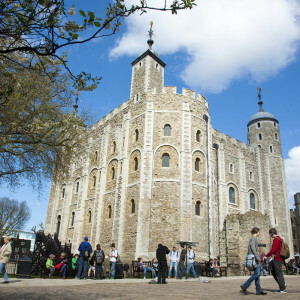 The walking tour ends within the Tower grounds. Does this walk "skip the line"? Yes, we use a reserved entry to bypass the ticket line at the entrance. 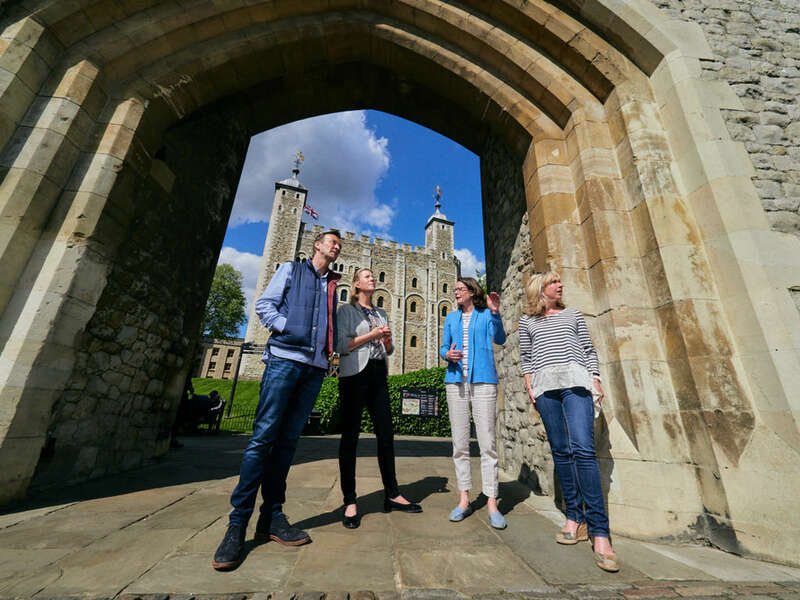 However, if you are interested in a fully exclusive, "no crowds" experience, we also offer an early morning Tower of London walk. Will we see the Crown Jewels? Yes, the Jewels are part of the tour. Please note that during peak season the Jewel House can be quite crowded, especially in the late morning and early afternoon. Can I buy food and drink at the Tower or should I bring my own snacks? Yes. There are various restaurants and cafés at the Tower offering a wide range of refreshments, snacks and meals, but you can also bring your own snacks. 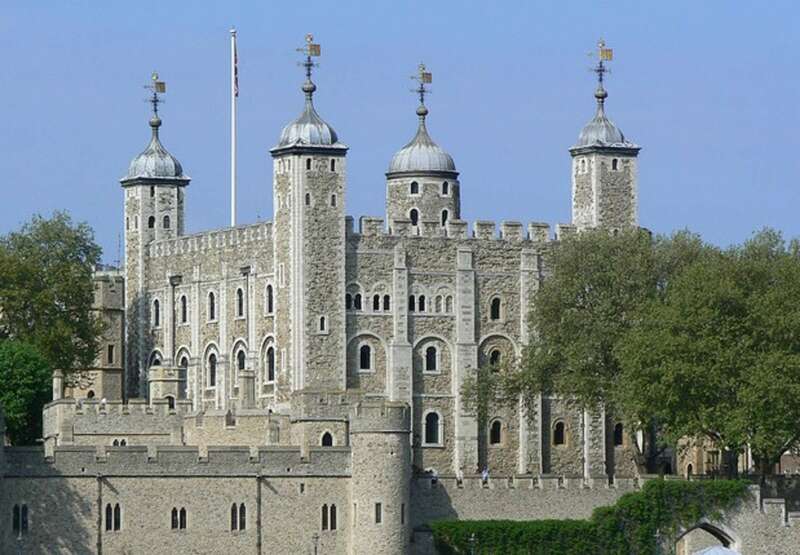 You are welcome to take photographs or to video within most of the Tower but photography and filming are not permitted inside the Jewel House, the Martin Tower, the chapel of St John inside the White Tower or in the Chapel Royal of St Peter ad Vincula. 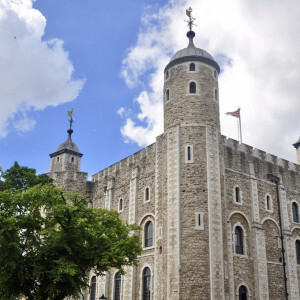 Is the Tower of London accessible? 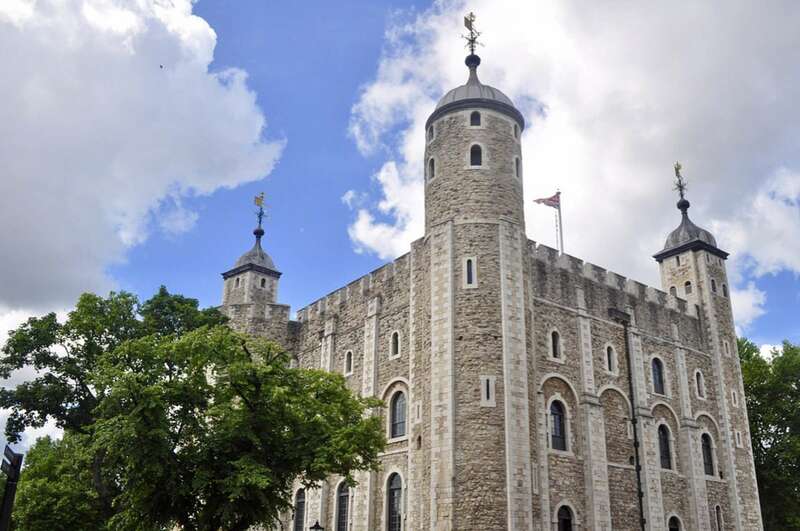 Whilst the Tower welcomes all visitors, this historic building has places with difficult stairs and passageways and wheelchair access is limited. There are also a large number of steps throughout the Tower with cobbles laid in some of the roads. However, the Jewel House and the Crown Jewels are fully accessible to all visitors. Is this tour good for kids? Yes! We have some excellent family friendly docents who can appeal to the learning styles of children. 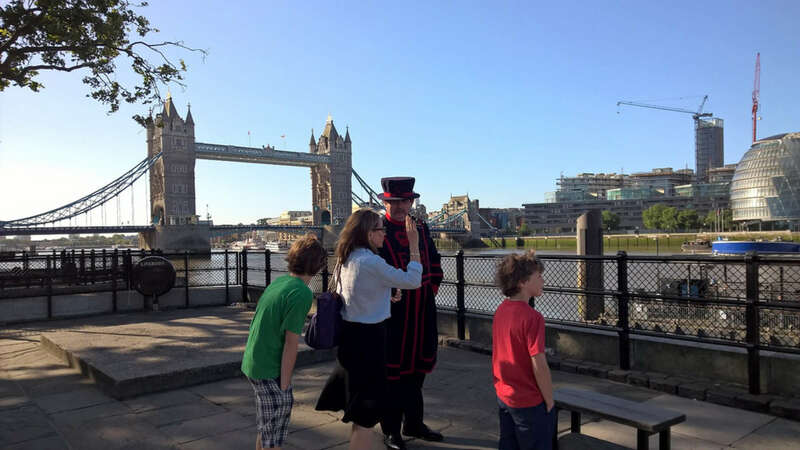 We have a separate Tower of London for Families walk just for families with children 12 and under. When booking, free to provide us with information about your children such as favorite school subjects, and hobbies. This way we can match you with the best possible docent. Can we schedule a tour in the afternoon? 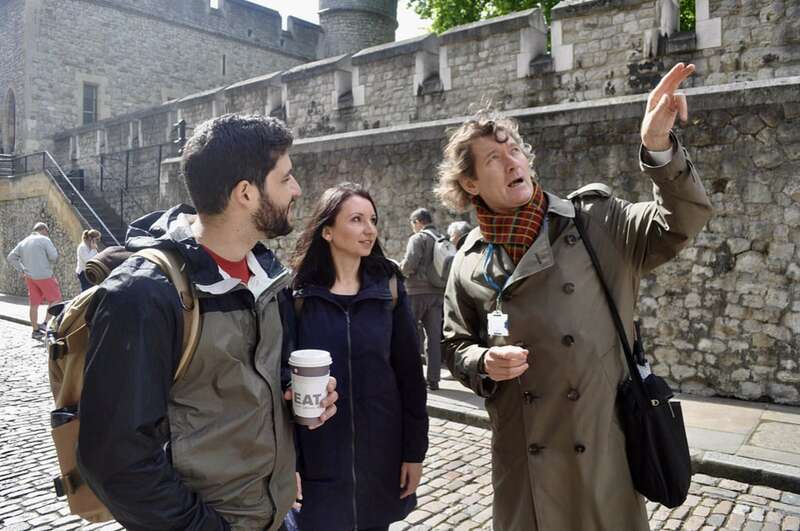 We generally recommend morning tours, as crowds can be very bad in the afternoon, especially to see the Crown Jewels. However, we can sometimes make exceptions. Get in touch if you require a different start time. Sarah Ciacci has lived and worked in London all her life, but pops over to Rome fairly often. After completing her MA in History of Art at University College London, specialising in late 19th Century French Painting and mid 20th Century Art, she has worked in different areas of the contemporary art world in both London and Rome, before deciding to focus on gallery education. 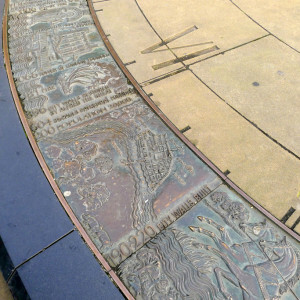 This necessitated a far greater knoweldge base, so Sarah trained to be a guide and qualified as a City of London Guide and as a Blue Badge Tourist Guide in 2008. 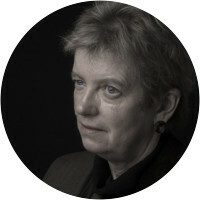 She now works as a guide, specialising in Museums and Galleries as well as tours for children and young people, she teaches courses in art history and the history of London at the University of Richmond and works as a gallery educator at the National Portrait Gallery and the Dulwich Picture Gallery, specialising in tours for older people and people with Dementia. Sue King was born a Londoner and has lived in several other cities including Seoul, Berlin and Washington DC. Since returning to London, she has spent the last three years studying its art, architecture, literature and history. Sue holds a research MPhil in History of Art from the Barber Institute, Birmingham University and has specialist knowledge of Victorian Britain through her study of its painting and literature. Her thesis, on symbolism in Victorian Art, focused on the work of the Pre-Raphaelites and she has also made studies in 20th Century American art. 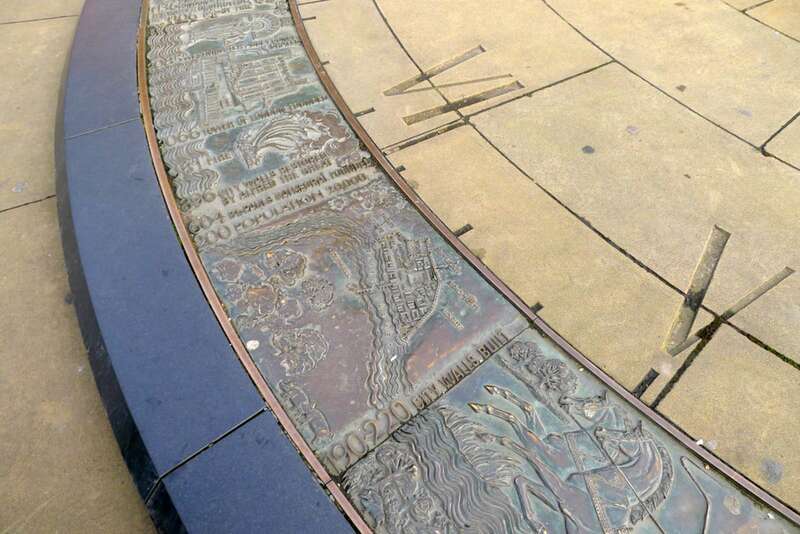 Sue is fascinated by London's history and is most interested in the artists and writers who have helped to define it. She loves to recount stories of their lives and works, and their connections with each other and the city. 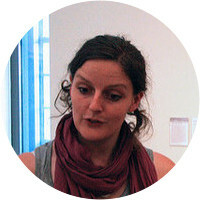 Philippa is an Oxford educated historian with specialist training in Art History. A qualified teacher with over 15 years experience as a resident guide and teacher at Dulwich Picture Gallery. For the last two years she has been on an intensive course learning about this great city. 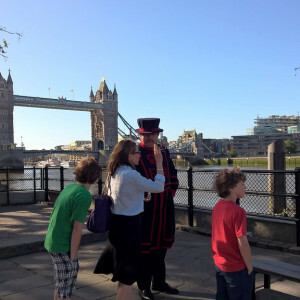 A Londoner all her adult life, she enjoys all aspects of the city, from the architecture to the food markets, from the parks and riverside walks to the galleries and city churches. 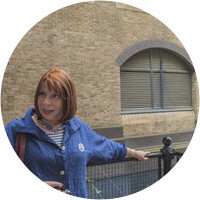 Her particular interests are the quirkier, less well-known places which only a long standing Londoner gets to know. Great tour. Lesley was well informed and delightful. Jessica was just wonderful with my 14 year old granddaughter - she was a combination guide, teacher and actress. Sarah Jane was an amazing tour guide. I appreciated her knowledge of the historical significance of the area, and had a lot of fun touring with her.